An army of robots has found the Batcave—and if Batman’s anti-oil spray runs out, our heroes will have to rely on a more dangerous solution to the problem! 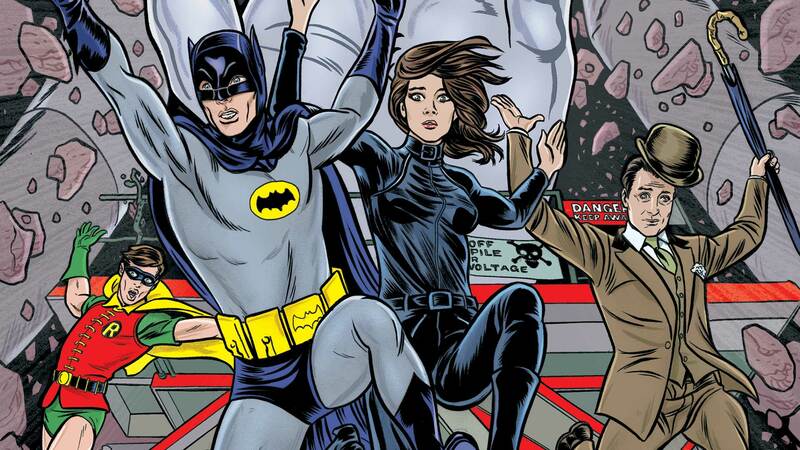 Bruce Wayne pays a call on Miss Michaela Gough, but it’s up to Robin, Steed, and Peel to save him when she orders the Cybernauts to clean up this loose end. Co-published with BOOM! Studios.